Osushi is next to the Starbucks and Westin Copley. During lunch and evening hours, there are business folks and tourists. I have had dinner several times here and really love ordering sushi that is created in a box mold and a dish that had a variety of tempura mushrooms with matcha salt. 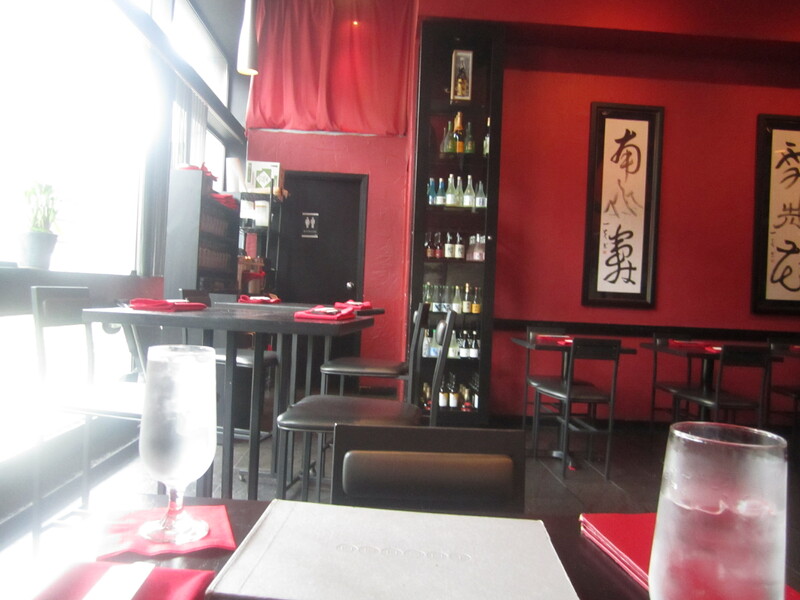 The decor is red, black and is quite sleek with high tops and booths. There is a shelf of nice variety of sakes and great view of Dartmouth Street. 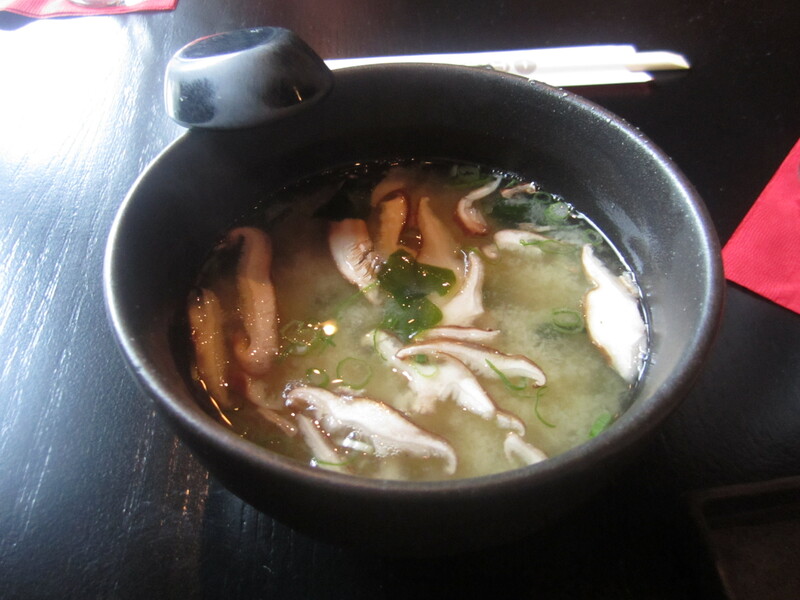 The miso soup was very warming and the sliced mushrooms brought an earthy flavor. 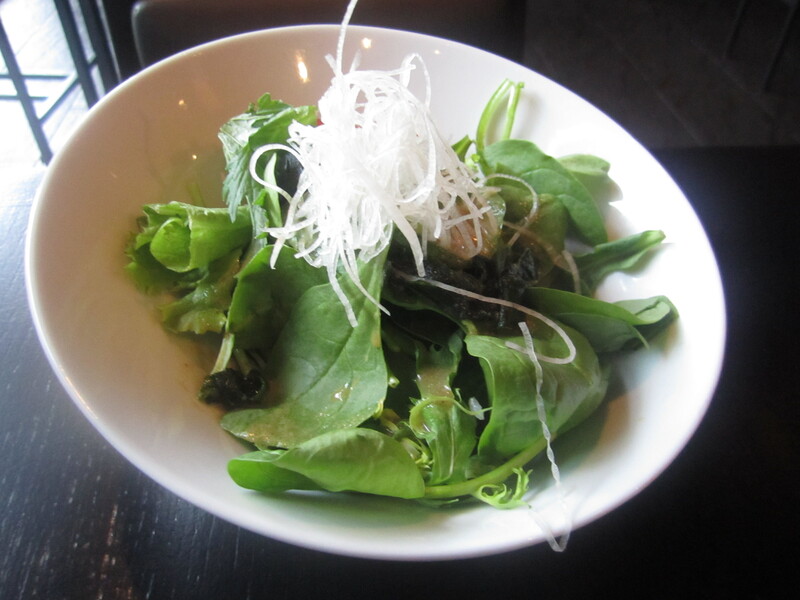 We also had the house salad, which had fresh greens with japanese sesame soy dressing. The vermicelli brought a good chewy texture to the salad. 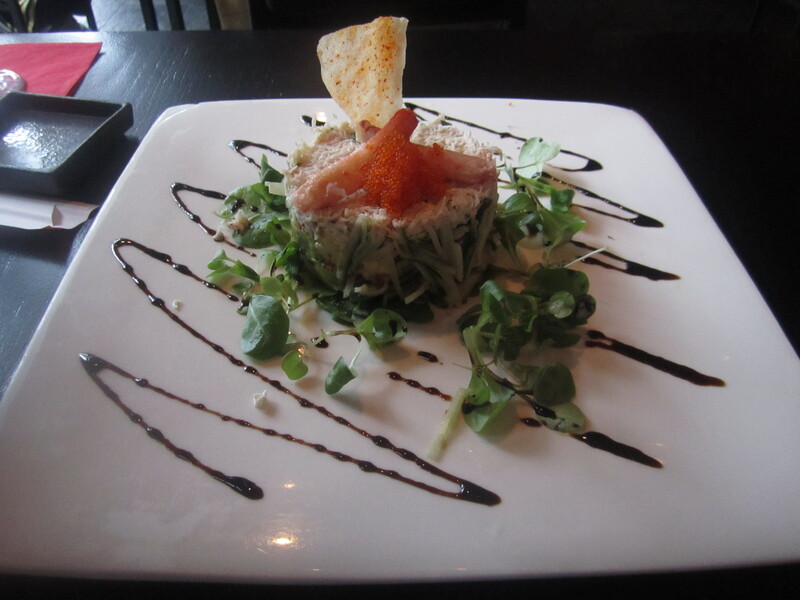 The avocado salad had creamy avocado, real crab, cucumber and tobiko combined with a mayonnaise vinaigrette. I would get this again. We shared a makimono roll combination which included one tekka maki, one california roll and one una-avo roll. 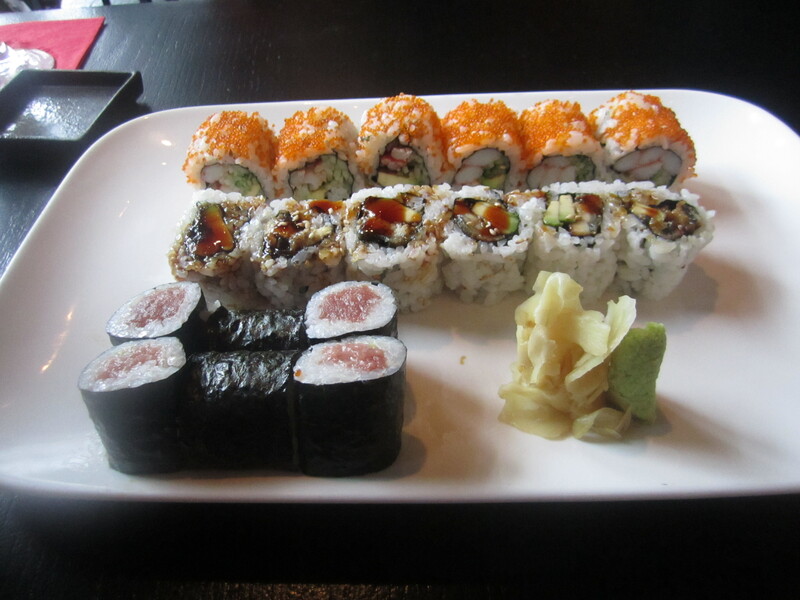 The best roll was the una-avocado roll and the other rolls were mainstream average.